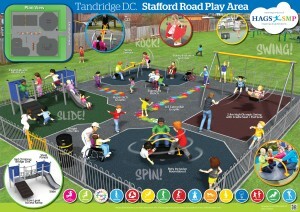 Tandridge District Council will shortly install a new children’s play area in Stafford Road Open Space, which is a QEII field. The play area, costing £35,000, will have a number of pieces of equipment designed for children aged between 2 and 12. HAGS SMP has been awarded the work, which should be completed in time for the summer holidays. The Council has worked closely with Caterham Valley Parish Council, Surrey Police and Surrey County Council, to provide a safe and enjoyable environment for children to play. Working with Fields in Trust, it has also secured a grant of almost £10,000 from the Surrey Legacy Fund to support the project. The new playground will replace the facilities removed in 2015 and will include swings, a roundabout, seesaw, a climbing frame and a springy animal. The site will have bright and attractive play surfacing and be fenced. 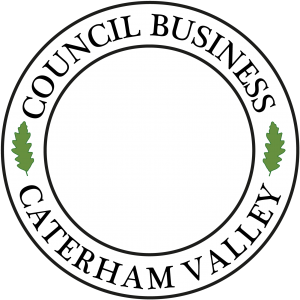 CCTV will be installed, jointly funded by Tandridge District Council and Caterham Valley Parish Council. The Open Space also has an outdoor gym for those aged 13 and over, along with a play area for older children. The Surrey Legacy Fund is delivered by Fields in Trust in partnership with the London Marathon Charitable Trust to support projects on QEII Fields in Surrey which encourage more people to get active in sport, play or active recreation. During 2012 Fields in Trust ran The Queen Elizabeth II Fields Challenge. This aimed to protect outdoor recreational spaces across the UK to create a grassroots legacy to celebrate Her Majesty’s Diamond Jubilee and the Olympic and Paralympic Games. There are nine QEII fields in Tandridge including Stafford Road Open Space.